While the traditional age for retirement is reported to be between 65 and 67 based on your age, the concept of a traditional retirement has died over the years. With more than 70 million Baby Boomers nearing retirement all at the same time, it is projected that new federal and state policies will take effect in the near future to provide retirement benefits. If you are planning for your future so that you live comfortably, it is important that you familiarize yourself with the policies and set aside time to understand why more and more people are choosing to work later into life. Read on, and find out more about about the traditional retirement age and what you need to know to plan for the Golden Years. How Do Social Security Benefits Work for Retirees? Many people who are nearing their retirement are relying on Social Security benefits to provide them with regular retirement income. By paying for the social insurance out of each check, you have peace of mind that you will have money to live off of in the future. This income may provide you with a foundation, but due to the fact that the average benefit comes in at around $1300 per month, it is definitely important that you save money in other investment vehicles to supplement your income. How Does Age Impact Your Benefits? Changes with benefits and how they are paid out can be confusing to most. In the past, you would be eligible for your full benefit when you reached the age of 65 and only 80 percent of your benefit if you retired at 62, according to the National Academy of Social Insurance. Now that so many Baby Boomers are retiring and medical advances have extended life expectancy rates, individuals born between 1943 and 1954 must wait until they are 66 to receive their full benefit. Those who were born in 1960 or later will not be eligible for full benefits until they reach 67, but may receive an 70 percent benefit at 62. 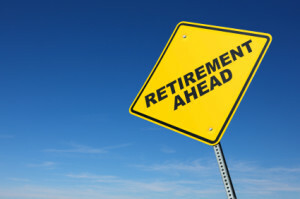 What Happens to Retirees If They Wait Until After the Minimum Age to Retire? When it comes to retiring, it pays to wait. It might be tempting to stop working at 67 or even at 62, but if the maximum benefit is not enough to help you live comfortably you need to consider staying employed. If you wait a year or two to retire, your monthly benefit will be higher for the rest of your life. Retirees that wait until they are 70 to retire can actually earn benefits of up to $3501 per month depending on their contributions. Considering that the average person gets around $1300 per month, it is worth it to consider the wait if you are healthy and able to work. Many people have a dream to retire early and to enjoy their life by traveling and experiencing the world. While this is a possibility for some, it is not one for all. By investing in employer-sponsored programs and depositing money into individual retirement accounts, you can reduce your reliance on social security and become less restricted by when you can retire. The traditional age for retirement may be a number people use to map out their path, but it certainly is not the ideal retirement age for most.